Showing movies from 9:30 AM to midnight. Call for times and shows. Show me the money! A little money and you get to see the show at the Garland Theatre! This wonderful art deco neighborhood movie theater shows all the latest movies on their second run at the stunningly low price of only $5.00. And you couldn’t find a sweeter place to view a film. When the Garland Theatre opened in November of 1945, it was the premier movie house in the whole west. New daring style, wide comfortable aisles and even a cup holder in each reclining seat! A main attraction was the snack bar, said to be "an innovation in the field and an import directly from Hollywood". Today the Garland is wonderfully preserved with all that old style and convenience still in place. You not only get to see the show, you also get to experience a slice of movie theater history! This icon of cinemas plays three or four movies a day in its one large theater. 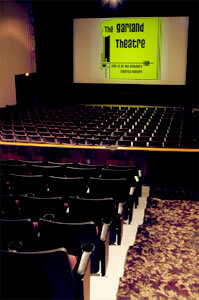 Spokane’s only independently owned movie theater, the Garland Theatre seats 650. The emphasis is on family entertainment and the theater lives up to its pledge by offering free summer morning movies for kids. That old snack bar is still in service too and offers the best popcorn in town at the best prices. 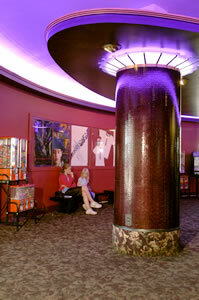 Every movie features the "bottomless bag" of popped delight for a low family rate price! Ample free parking completes the show. Experience movies on the big screen without big prices, great popcorn and the ambiance of old fashion movie theater style. Show me the Garland! 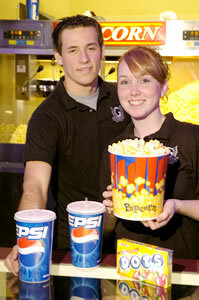 Best Popcorn – Featuring the "Bottomless Bag"
Wednesdays are $2.50 now until the start of summer!